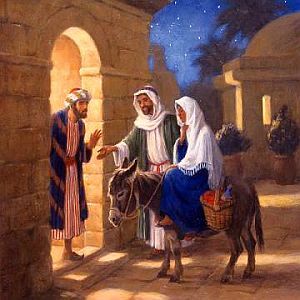 In celebration of the Christmas holiday, a few of the Arbon women are putting on a Christmas program called, “Room in the Inn.” This program will be held at the Arbon LDS church on Thursday, Dec 9th. All women from the valley who are interested in attending are invited. Important NoticeThe Arbon Valley website’s purpose is to inform Valley residents of important news, upcoming events, and historical information. Keeping with the spirit of a news medium, information will be posted if it is deemed to be interesting and/or relevant for the general population. ArbonValley.com does not represent any religion or political party. onte and Cheri Evans are heading on a two-week Church Mission to Jinja, Africa, and other small villages in the surrounding areas. There are two teams going, each with it’s own assignments, taking on the mission. Each team has three categories of personnel, doctors, teachers, and laborers. The first team, with 12 members, left on the 28th of April. The second team, with eleven members in which Monte and Cheri are a part, is leaving on Friday, June 4th. 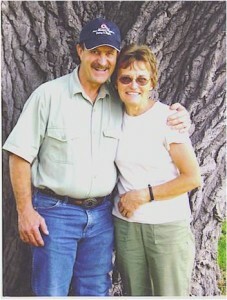 Once in Africa, Monte and Cheri will be helping with a small school of about 100 children. Education in Africa is not free, and many children cannot afford to get any education at all. Some students have managed to be sponsored by a US family, but many are not so lucky. It is a huge sacrifice for the parents to pay for the education of their children. When it first started, the school had only one student, yet this year it is hoping to have over 100. Education in Africa is growing, but it still needs some time to get on its feet, and a few selfless people that are willing to sacrifice of themselves for their fellow man. There are doctors going in Cheri and Monte’s group which will be giving free physicals to the children. The teachers will be helping in the school, sharing their knowledge with the students. As laborers, Cheri and Monte are not entirely sure exactly what they will be doing yet. There is a chicken farmer, Abdu, that Monte will mostly likely be helping. There is also a group home for teenage boys, a village of mostly prostitute mothers who are desperately trying to raise their families without the helping hand of a husband and father, and there is also a bakery that they could possibly be working in. They are both excited about their mission, and are prayerfully seeking the help of the Lord in their endeavors. They pray for the guidance of the Savior and that their hearts will be softened to His will. They desire to be instruments in the hands of Jesus and to share His love with the people of Africa. The hearts and prayers of the people in Arbon, as well as those elsewhere, will definitely go with the Evans’ as they embark on their journey. It is my prayer that they will be successful in their mission and will bring to pass much righteousness, good, and the love of Christ to all those who seek it. Monte and Cheri will be great missionaries. They will be returning home on the 19th of June.